Cardiff based food and drink wholesaler, Global Foods, has chosen Business Computer Projects (BCP) to implement a new Radio Frequency warehouse management system. Global foods, who pride themselves on their reputation for reliable customer service, recently became concerned about efficiency in their warehouse following an increasing number of complaints about picking errors across their delivered trade operations. They currently stock in excess of 20,000 ambient, frozen and chilled products, however because similar products are often kept next to each other for the benefit of their cash & carry customers, the wrong products for delivered trade customers are often being selected by warehouse staff. They turned to BCP for a suitable solution to improve the accuracy of product picks across their warehouse and ensure high customer service levels are maintained. They have decided to implement a Radio Frequency (RF) warehouse management system (WMS) which will create a new order fulfilment process to prevent errors going forward. 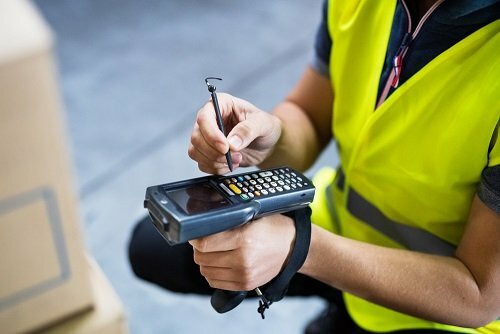 Due to go live at the end of March, the system will maximise productivity across Global Foods by eliminating the need for them to undertake so many manual item checks against orders and reducing credit note processing for wrongly selected items. Having a first class selection system will also provide assurance to their customers. “Our aim is to ensure our customers receive what they selected. We want to avoid the necessity of our customers having to complain to us for wrongly supplied item and build long term relationships with them.” Tariq continues. Global Foods is a long-standing customer of BCP and have used their Accord software for the last 10 years. This new RF system will integrate seamlessly with their existing ERP system and provide a more streamlined operation.